Turn our iconic sauce into a festive Halloween costume for your little one. If the sight of your child’s mouth, fingers and clothes smeared with Chick-fil-A Sauce is all too familiar to you, why not let them own it for a night? The best part of this costume is that it can be made in less than 30 minutes from items you likely already have around the house, and it can be customized based on your child’s size. 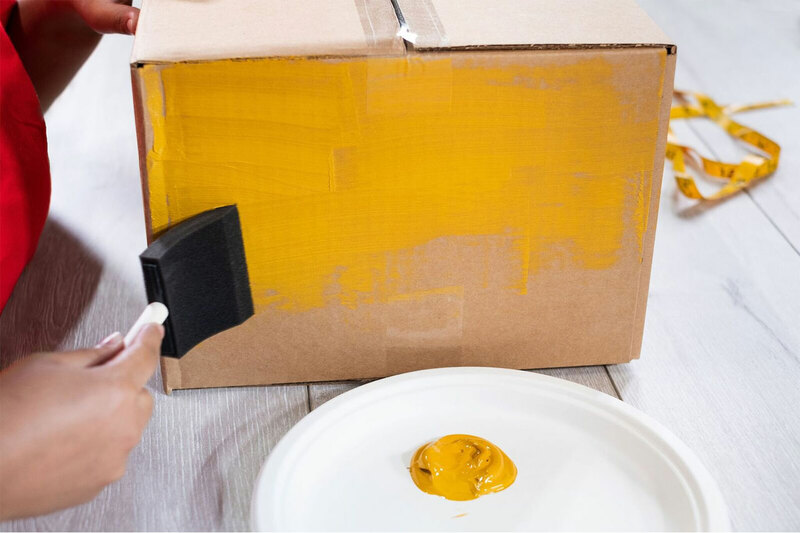 Paint 5 sides of the box (excluding bottom) yellow and let dry. 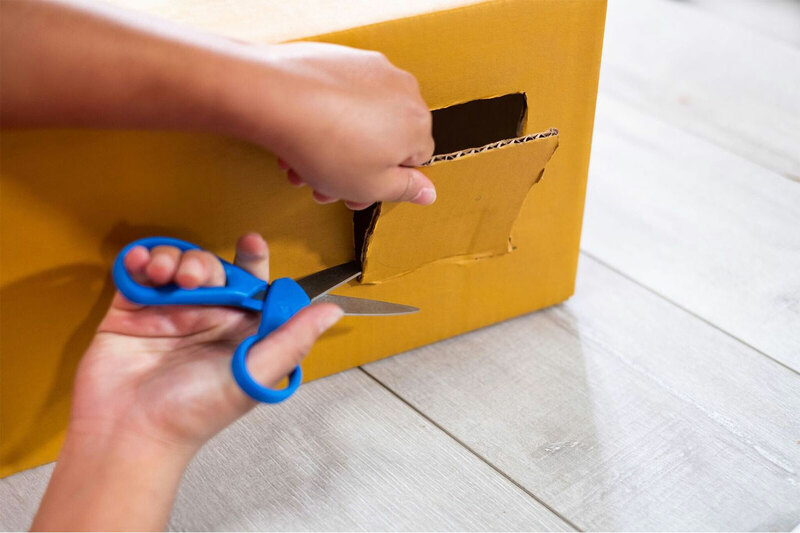 Using scissors, cut out bottom panel of box. Paint 1-inch white outline around circumference of front panel with triangular shape in bottom left corner. Cut 1 arm hole in the middle of both sides of the box, sized to comfortably fit circumference of child’s arm. Cut 1 head hole on top of box, sized to comfortably fit circumference of child’s head. 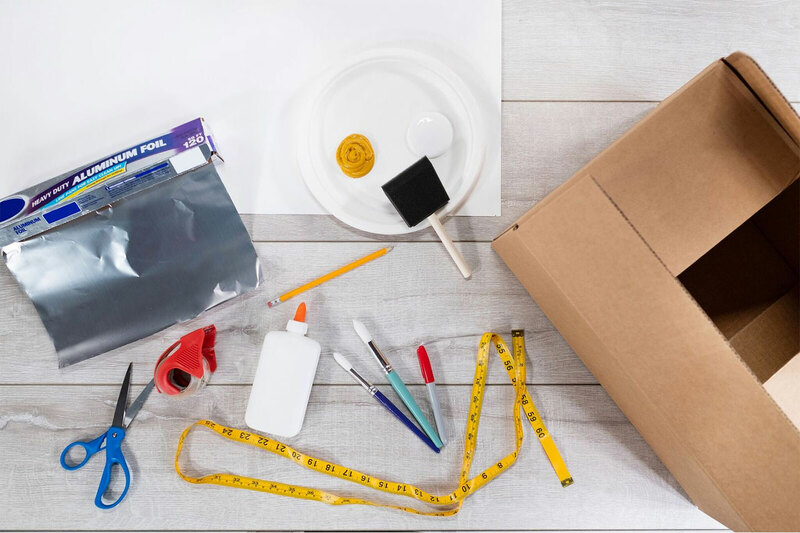 Using tape measure, measure dimensions of the front of the box. 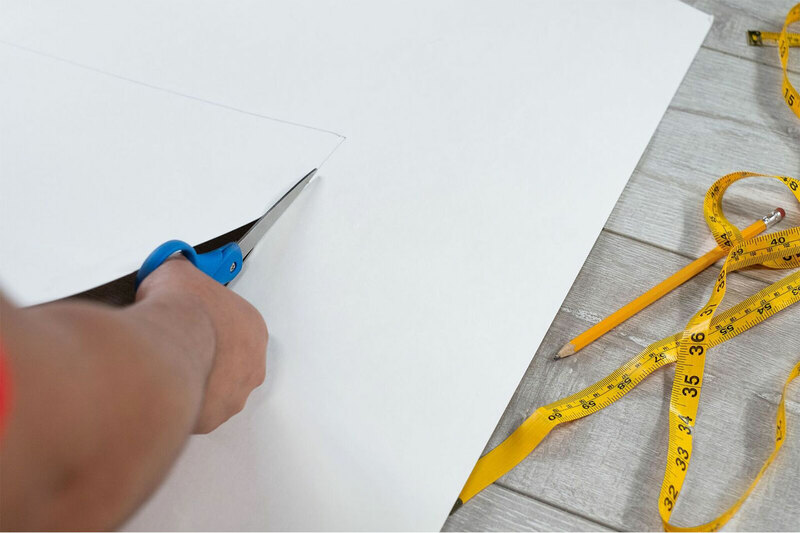 Cut poster board to match front box dimensions and add 2-inches to the width. Cut poster board and round all 4 corners. 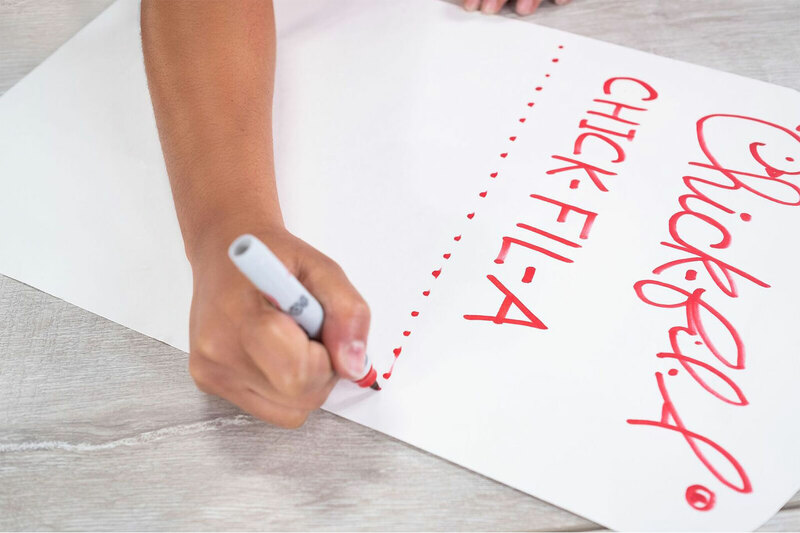 Using a red marker, draw Chick-fil-A logo and text on poster board to replicate Chick-fil-A sauce label. Cut tin foil to cover bottom half of poster board. Round corners and attach to back side with glue. 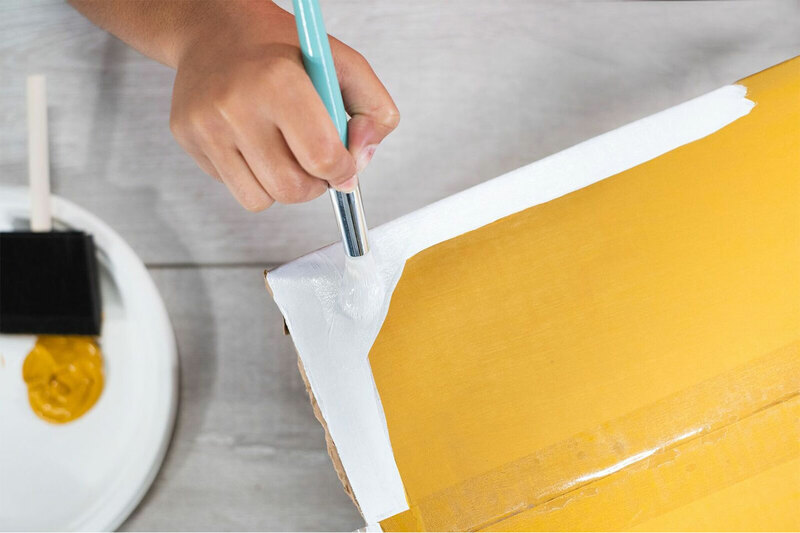 Using glue, attach poster board to front panel of the box, leaving the bottom half unattached. Roll up the bottom left side of label to expose tin foil. For more ideas, check out our Chick-fil-A Lemonade dog costume and Chick-fil-A logo costume! 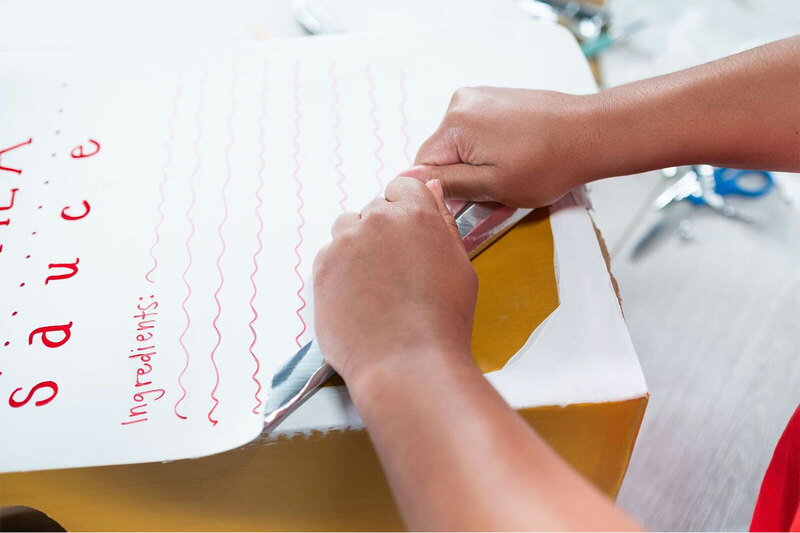 And don’t forget to share your recreations with us on social media by tagging @chickfila on Instagram or Twitter.